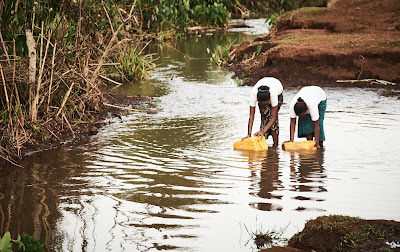 Did you know 1.8 billion people use a contaminated source of drinking water, putting them at risk of contracting cholera, dysentery, typhoid, and polio? The families of the Mid Highlands in Sasiga, Ethiopia are among that 1.8 billion. The majority of them collect their drinking water from unprotected streams and dirty water run-off. 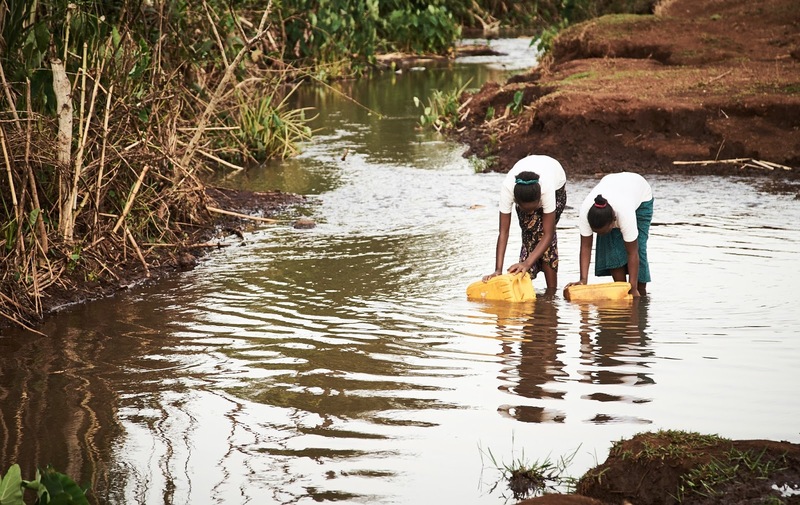 To help them overcome this tremendous challenge, Food for the Hungry is facilitating a five year clean water project that will provide safe, reliable drinking water. The power of clean water cannot be underestimated. Globally, more than 340,000 children under five die annually from diarrhoeal diseases due to poor sanitation, poor hygiene, or unsafe drinking water. Having access to clean water will dramatically reduce water borne diseases in the Mid Highlands. This means fewer sick children at risk of death and fewer sick parents losing precious days of productive work. Bringing clean water closer to home will also significantly decrease women's workload by reducing the distance between home and the water source. This means more time for their children, for work, and for rest. 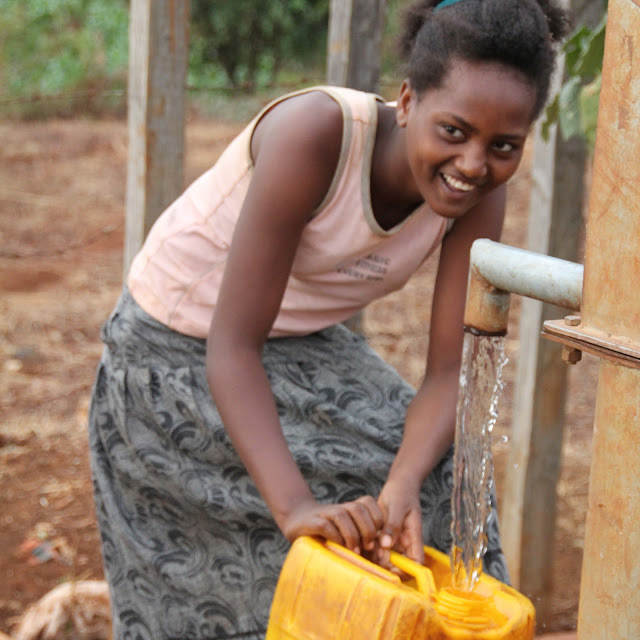 In 2017, FH Ethiopia helped dig nine new wells and cap four local springs in the Mid Highlands, delivering clean water to 3,119 community members representing 638 households! To ensure the sustainability of this clean water access, 13 water committees and four water point caretakers were trained by a water expert from the Sasiga district. Committees keep the area around the water points clean and organize times for water collection. They are also trained to facilitate any repairs that need to be made down the road. Families who regularly use the water points are also taking personal pride and responsibility in their new water sources. They will contribute a fixed amount of money for spare parts so the committees can provide maintenance as needed. But clean water is only as good as how it's handled. If people aren't trained on good sanitation, they won't know how to effectively use clean water to keep themselves healthy. 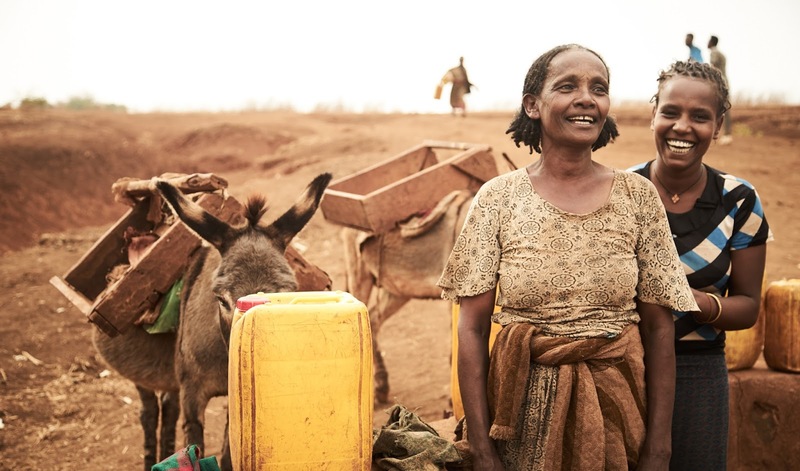 FH Ethiopia is working with the communities to improve their sanitation and hygiene. Across the world, 2.3 billion people don't have a decent toilet. This means they have to use unsafe latrines or find somewhere outside to go. You can imagine how this causes serious health problems. In the Mid Highlands last year, FH trained families on how to construct safe and sanitary latrines and distributed 300 latrine slabs. Community members were unaware that many of their common illnesses were a result of inadequate personal and environmental hygiene. To address unsafe ways of handling water, poor house management, and unclean handling of household utensils, FH conducted four different training sessions. The first, environmental and personal hygiene had a turn out of 345 participants and showed people the importance of keeping the yard and home free of animal droppings as well as the importance of hand washing after using the toilet. As a practical help, FH trained a number of families on how to construct home waste pits (they don't have garbage collection in that part of Ethiopia yet!). The second session, home management, was attended by 196 people and addressed practices like keeping domestic livestock in the home. Attendees learned how animals could inadvertently contaminate clean water and posed a danger to small children. 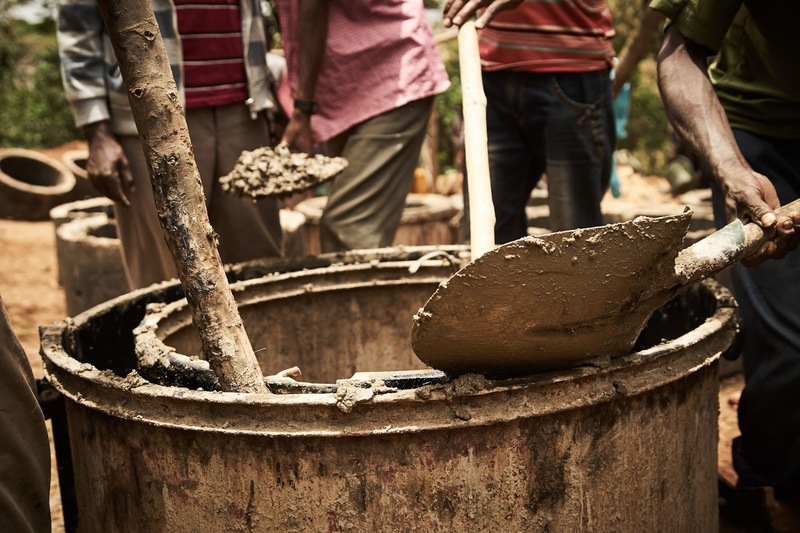 The third and fourth workshops trained 202 people to build fuel-efficient stoves and kitchen shelving. Both improvements will make the kitchen a safer, cleaner place for moms and kids. Unsurprisingly, 78% of the attendees for all of these workshops were women who bear the brunt of the responsibility to provide clean water for their households. As a result of these combined efforts - new clean water points and better sanitation and hygiene - family health is already improving! Many families gratefully report that their children rarely get sick from dirty water anymore, and parents are able to concentrate on creative ways to provide for their families. Click here to join Food for the Hungry on this five year journey of providing clean water to the Sasiga Mid Highlands. Food for the Hungry: Clean Water for Ethiopia!